MOSCOW, November 30. /TASS/. Russia’s Rokot light carrier rocket blasted off from the Plesetsk space center in northwestern Russia early on Friday to put a cluster of military satellites into orbit, the Russian Defense Ministry’s press service said. "On Friday, November 30, at 5:27 Moscow time, an operational crew of the Space Troops of the Russian Aerospace Forces successfully launched a Rokot-class light carrier rocket with a cluster of spacecraft for the Russian Defense Ministry from launch pad 3, Site 133 of the State Testing Cosmodrome of Plesetsk in the Arkhangelsk Region," the press service said in a statement. The Briz-KM upper stage together with three military satellites separated from the rocket’s second stage as scheduled, at 05:33 Moscow time. Approximately two hours after the blastoff, the Briz-KM upper stage successfully inserted the three satellites into the designated orbit. Rokot is a space launch vehicle capable of delivering light and medium payloads to orbit. 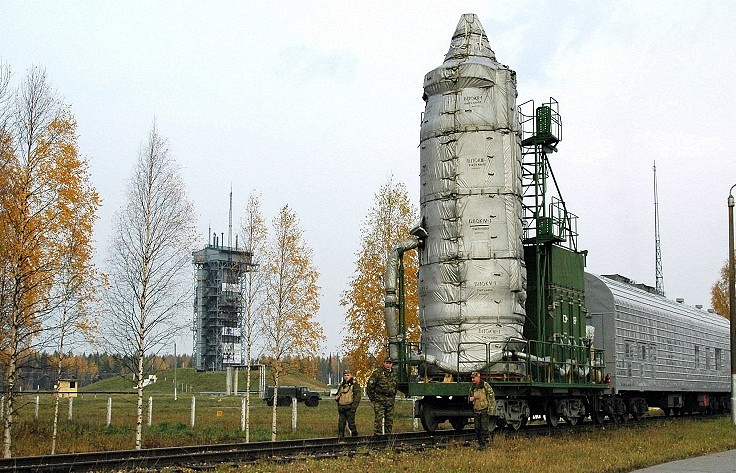 It was created on the basis of the RS-18 (SS-19) intercontinental ballistic missile manufactured by the Khrunichev State Research and Production Center. After the end of the Cold War the missiles were re-purposed by the center to serve as space launch vehicles. Its first launch took place on May 16, 2000. So far, 29 Rockot launches have been held to put about 17 satellites into orbit. This is the second Rokot launch from Plesetsk this year. The previous launch took place in April.